Let’s be honest. Sometimes we receive fabulous experiences and synchronicities that make us giddy with happiness and excitement. We twirl around in glee for the wonder of it all and walk around on the proverbial Cloud 9 in joy, thanking God and the Universe and everyone else for the good news. However, sometimes we have experiences that we don’t want and we can’t believe that God or the Universe have delivered this strife to our door. We don’t want to be thankful or gracious about the upsetting news or situation or relationship. We don’t want to hold our hands out with a ready heart to receive disappointment or grief or burdens. We want to to live happy go lucky lives and be done with the horrors we’ve endured. Do you feel that way sometimes? So what other choice do we have? We have to receive the blows as they come and deal with them in the best way we can. Getting on our knees is one plan, full of prayers. Getting help by reaching out to others is another good idea. Going through the process and not hiding behind blinders is probably good advice as well for we can ignore situations, but until there’s a resolution, the body, mind, and soul suffer. And I know, sometimes there’s no resolution. Bad things happen to good people. We suffer at the hands of others and circumstances at times. We can feel like we endure more than our share of illness, of disconnections and of failed relationships. We strive to do what’s right in all situations, but we’re human and we make mistakes. We can’t have it always perfect all the time. It’s just not what life school is all about here on Earth. A friend and I were talking on the phone the other day and admiring each other’s strengths. I flippantly said, God only gives you what you can handle right? in an effort to connect with this person who was also having a hard time these days. Sometimes I think He thinks I’m cement! I said. She replied, Then I’m puddy! and because I liked puddy better, I agreed, We’re both puddy! We laughed, enjoyed the camaraderie of the moment and when we hung up the phone, there was a kinship there that remained between us. When we go through hard times, we learn about life, about people and about ourselves. We expand our knowledge, our spirituality and our ability to help others who are hurting as well. Our experiences, when we share them, become a springboard for healing others and for healing ourselves. We inspire others by how we deal with hardship. We admire others for how they have conquered the ugly parts of life with grace and dignity. We grow our faith and our connections with love when we heal ourselves and others. We find the springboard to something positive when we dig ourselves out of the hole of adversity. Hope becomes key. Love becomes the answer. Patience increases and a centered soul becomes the strength in which we shine our heartlights. Simon’s Cat Helps, Does Yours? Oh goodness gracious, are you a cat owner, or better referred to as owned by a cat? As I was trying to write this morning, the video below was very similar to my experience. Tigger, our mischevious almost one year old kitten, decided to help me and we battled like Simon did! Of course, I giggled more than Simon, especially after seeing that his experience was much like my own. Cats are funny creatures, but surely mine would say the same about her humans. I guess this is why Simon’s Cat always gives me a much needed giggle. So, I thought I’d pass it along to you today! Take a few moments today to bond with your loved ones, both human and otherwise. We are all a part of this Universe and family is so important. Be kinder than necessary. Be more patient than you normally are. Be more present than ever. Now’s the time. Fill your day, your life with love. Click here to watch Simon’s Cat in Cat and Mouse! 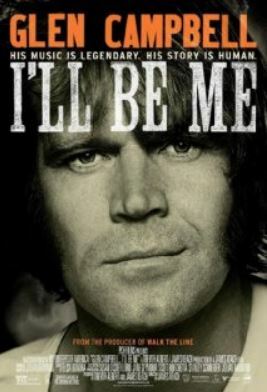 Recently I watched the I’ll Be Me documentary which chronicled Glen Campbell and his family’s last music tour during 2012 after he was diagnosed with Alzheimer’s Disease. Having family members with the disease, it really hit home. I found myself so moved by the documentary which tastefully showed the progression of the disease. Tears fell from my eyes at times when I felt for him, for his wife, for his children because I understood and connected with their situation. It wasn’t easy, but I am grateful I was alone to watch and grateful for their/his courage in making the documentary. With memory-loss, there’s a bereft feeling left for those who love you ~ for it is our memories of the vitality, the energy and the YOU that we remember that is now slowly fading right in front of us. Sure, there are moments of clarity which we hang onto and then there are moments of confusion which frustrate you and us. I never knew so much about the disease until it hit our home. It rearranged dynamics and has been a test in patience. For the person we knew for a lifetime is still the same, but the relationship changes and they change as well. We stand by helplessly as the disease progresses. It’s a test of learning to go with the flow, to be fluid throughout the day, always keeping in mind how to help our loved ones stay peaceful. I think there’s a special place in Heaven for those who work in memory care. So in honor of all those affected by the disease and a huge hug for the caretakers who hope, understand and love those with memory problems, Glen’s video is below. His haunting words make me cry every time. But it’s a good cry, a tethered connection of understanding and a legacy to all those affected by this disease. When I was diagnosed with breast cancer, I learned all about it, from researching, googling, reading, talking with others and experiencing the illness through my body, mind and spirit. I know more about breast cancer and its effects on women and families than I ever wanted to know. But it has made me who I am today and for that, I am grateful. I learned much about myself and the inner strength that I have come to rely on in my life. Now that I have two family members battling Alzheimer’s and Dementia, my research has begun again in earnest. This time it’s not so much about the body, but more about the mind and as the caregiver this time and not the patient, my brain works overtime as does my patience. The mind baffles me with its twists and turns with these diseases. In my research, I came upon the video below which brought me to tears and humbleness. As caregivers, we may lose our patience when asked for the umpteenth time the same question or when we are unsuccessfully trying to reassure an anxiety-ridden loved one whose brain is captured by a riddle. But we never know what they are enduring as their brains muddle through moment to moment, grasping and disconnecting at will. Their brains only deal with the present moment and that is their reality which changes. Talk about truly living in the present and working on finding peace in every single moment! Perhaps this will give you a little insight as it did me. 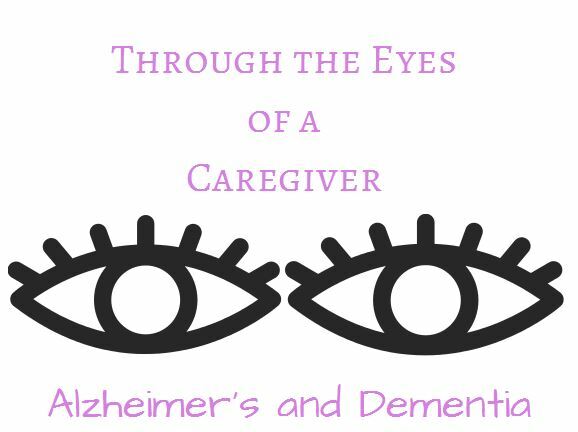 If you are a caregiver or love someone with Alzheimer’s and Dementia, please connect with me. Just as it helped me when I endured breast cancer, I believe that as always our connections only make us stronger.